I love living in a small town. My adopted home town of Pleasant Grove, UT has a summer festival every year. All the towns in the area do. 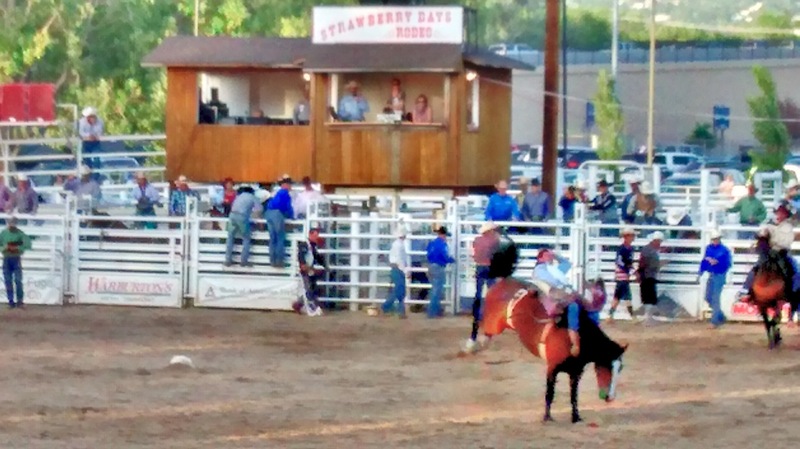 Ours is called Strawberry Days and is the longest running community festival in Utah. It’s been running for 96 years. Yesterday, I got to attend the street carnival with my kids in the afternoon and then last night we attended the rodeo. 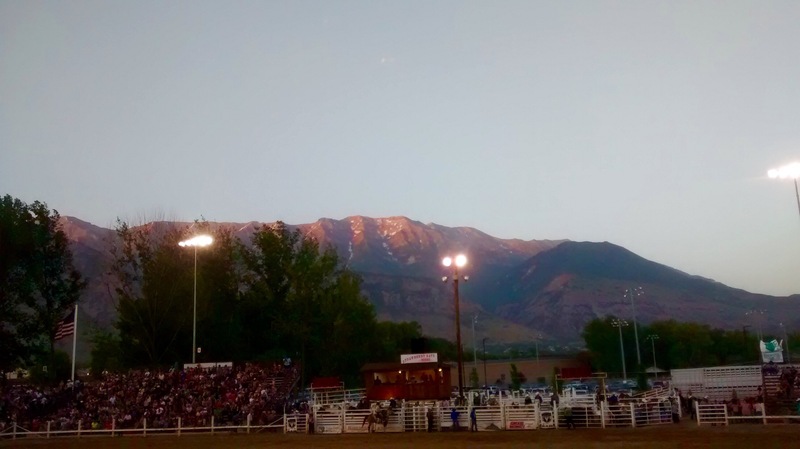 Rodeos are a big deal in Utah. Ours is no exception. 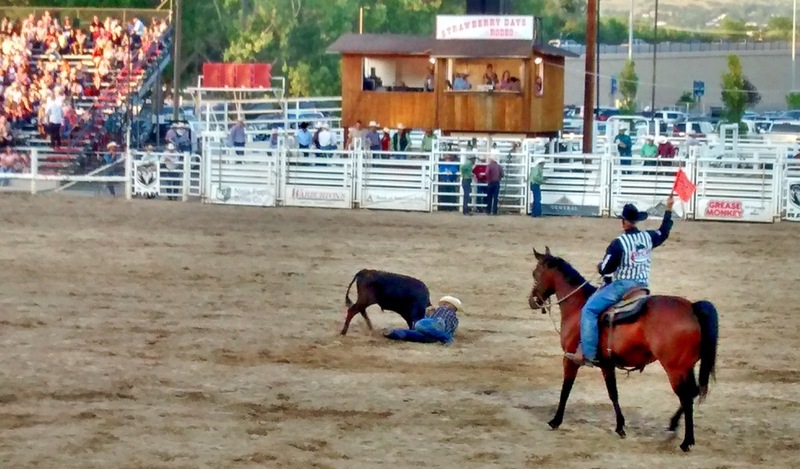 Some of the best Cowboys in the world compete in bronc riding, bull riding, calf roping and wild cow milking. (Okay, that last one isn’t actually an official event, but was still fun to watch.) 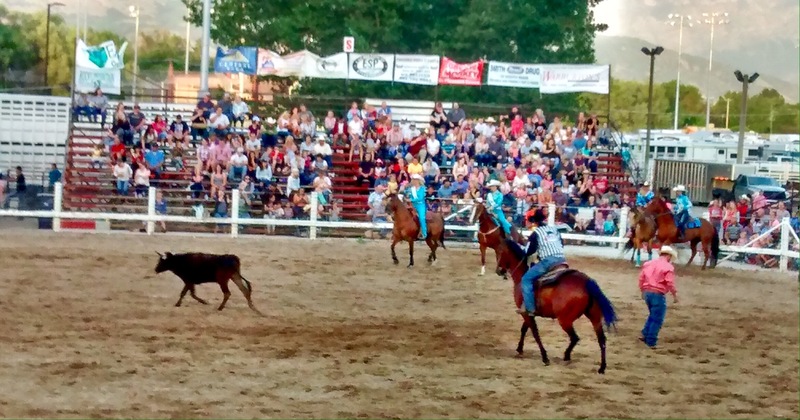 The rodeo runs from Wednesday to Saturday and it sells out every year. While it harkens back to a simpler time in our nation’s history, it’s run with modern technology. Tickets are typically purchased in advance. At the gate, the ticket takers scan the barcode of the printout using cell phone apps. Oh, and seats are preassigned. My lovely wife purchased our tickets. She was buying for our family and for some friends. She bought a total of 12 tickets. And of course, she wanted them all together. She was offered the front row. She declined. See, she’s been to the rodeo before. If you’ve ever attended a comedy show, even once, you probably quickly realized that your seat in the front row was a mistake. Well, unless you enjoy being humiliated by the headliner. Yes, he will notice when you pull out your cell phone. He will be happy to pick any aspect of your outfit, or friends to turn into a joke. And you should never heckle at at a comedy show. However, if you heckle from the front row, you are going to be mocked mercilessly by the comedian on stage. The front row is not the best seat in the house. We have these seats for the rodeo available in the front row. No thanks. Those aren’t very good seats. No. You have to be at least four or five rows up to get a good view of the arena. Yes, really. As we filed in and took our seats on rows 9, 10 and 11, we noticed something else about the front row folks. Not only was their arena-level view limited by being so close, they also had to contend with the sponsors bunting. It wasn’t long before the flags were rolled up. We enjoy the rodeo every year. This year, the bull riders were better and the clowns were worse. The strawberries and cream were just as good and the seats? Our not-front-row seats were excellent.